A disgusting passenger shouted, swore and eventually spat on a train guard as they travelled between Dunblane and Edinburgh. 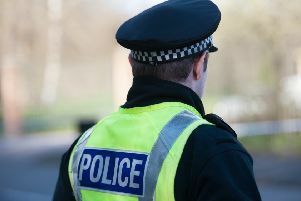 Police have launched an investigation into the incident, which happened on the Edinburgh train on Wednesday, June 14 at 10.30am, following a row over a railcard. Officers would like to speak to anyone who was travelling on board the service and witnessed the incident. The man, who spoke with a Scottish accent, is described as around 20, of skinny build with short blonde hair. He was wearing a green camouflage jacket, black skinny jeans and trainers. Anyone with any information should contact British Transport Police on 0800 40 50 40 or text 61016 citing reference 217 26/06/2017.